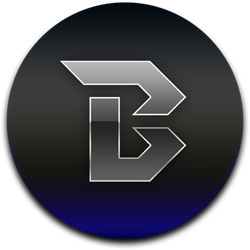 – BlackCoin (BLK/BC), currently PoS only, fixed stakign reward of 1.5 BLK + fees time dependent, traded on Bittrex and Poloniex with big volume, active community. – CoinMagi (XMG) – M7M, PoW and PoS, up to 5% annual interest rate, traded on Bittrex and Poloniex, small volume, active community. – Diamond (DMD), Diamond-Groestl, 0.2 DMD PoW, 25% annual interest rate for PoS, decreasing further in time, traded on Bittrex, active community. – Mintcoin (MINT), currently PoS only, 10% annual interest rate to further decrease to 5%, traded on Poloniex, large volume, active community. – OKCash (OK), currently PoS only, 20% annual interest rate to decrease further to 6%, traded on Bittrex, small volume, small community. – HyperStake (HYP), currently Pos only, up to 750% annual interest rate with limitations on how much coins you can stake driving actual rate lower, traded on Poloniex, small volume, active community. – Hyper (HYPER), currently PoS only, 5% monthly interest rate to further decrease to 2% annual, traded on Bittrex, small volume, active community. – Quotient (XQN), currently PoS only, 1618% annual interest rate for PoS (max reward cap? ), traded on Bittrex, small volume. – Reddcoin (RDD), currently PoS only, 5% annual interest for PoS, traded on Bittrex and Poloniex with big volume, active comunity. – ZeitCoin (ZEIT), currently Pos only, 15% annual interest rate to further decrease to 5%, traded on smaller exchanges only, small volume, active community. One of the main issues for users that are into altcoins are coins switching to PoS (Proof of Stake) or supporting both PoW (Proof of Work) and PoS (Proof of Stake) is that they need to run multiple wallets all the time usually with very low interest rate to keep them motivated. Of course the idea of PoS is to keep the network operational and with multiple nodes by stimulating users with rewards to keep their wallets running all the time, but this rarely happens as planned. This is precisely why the user interest usually drops in coins once they go to PoS pretty quick, but there is an interesting solution that might help users not loose interest in PoS coins and avoid the inconvenience of running multiple coin wallets all the time. Staisybit is an online wallet for multiple crypto coins that allows users to keep their coins stored in it and have them staked, earning rewards based on the interest rate that each coin has with very low fees. This will save you the trouble of running multiple wallets that can be heavy on the computer they are installed and require a lot of resources, especially if they are more than just a few coins. The drawback will be a smaller number of users running the wallet and supporting the network of the specific coins as the service runs a single wallet per coin with multiple users, but then again it is also about the convenience of the users. Staisybit has been available for a while apparently, but it is not very well known among users apparently and is not very popular, even though it provides interesting service and is easy to use and works well. Currently the service has support for 13 different coins with PoS, they are: Bitz (BITZ), Blackcoin (BLK), Diamond (DMD), Energycoin (ENRG), Europecoin (ERC), Fuelcoin (FUEL), Noblecoin (NOBL), OKCash (OK), Shadowcoin (SDC), Sterlingcoin (SLG), Vericoin (VRC), CoinMagi (XMG) and Quotient (XQN). Once you register (set a secure password with small and big caps and numbers) you need to Open Wallet for the supported coin you like and send in some coins in order for the staking to start. 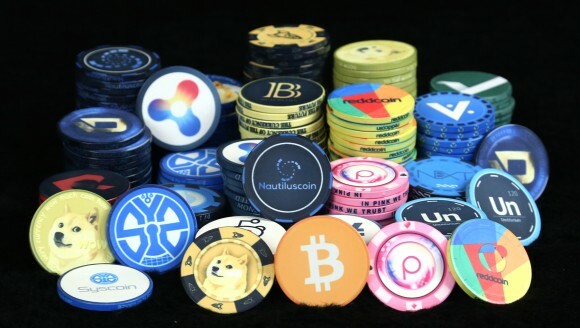 The service can use a bit of polishing and needs some more information and details such as info on all supported coins as some of them might not be familiar to many users etc, but is still quite good and might be useful to some users. BlackCoin (BLK) is pure Proof of Stake coin, except stage of initial distribution, when it’s mixed PoW and PoS coin. Recent Bitcoin patches against transaction malleability are integrated. Problem is not solved, but harder to exploit. Mining of Blackcoin will only be available for one week, since after the 10.000th block it will be a Proof of Stake coin only.